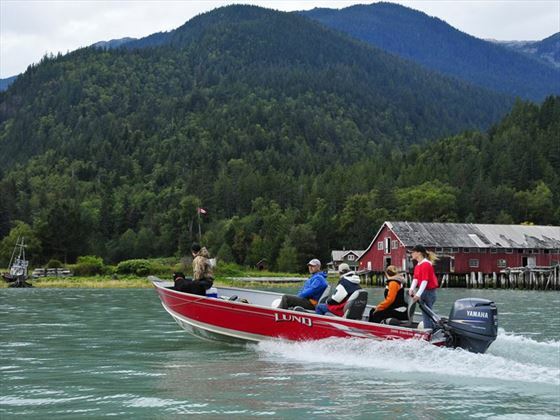 This itinerary presents the very best of the British Columbia wilderness and wildlife experiences. You spend time on various ranches, where you can horse ride if you wish or simply enjoy gentle hikes on the marked trails. You’ll have exclusive access to viewing platforms to see grizzly bears in their natural habitat. 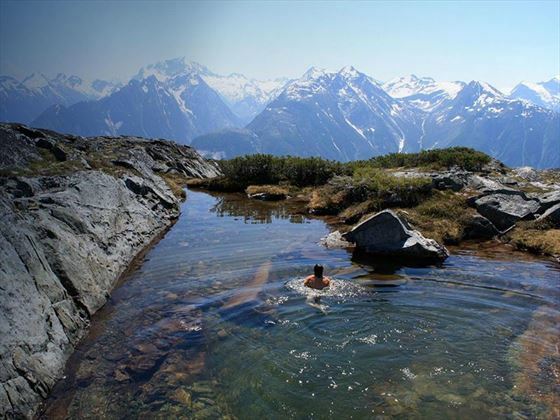 You’ll travel far into the BC interior to immerse yourself in the pristine wilderness. All throughout you’ll spot local wildlife such as bald eagles and river otters, whilst surrounded by mountains, grasslands, rivers and lakes. Arrive in Vancouver, pick up your hire car and take the short drive eastwards to Harrison Hot Springs. Today drive north on Highway 1 into the British Columbia interior. You can break up your journey with a stop just off the highway see to the thundering waters of the Fraser River at Hell’s Gate Gorge. 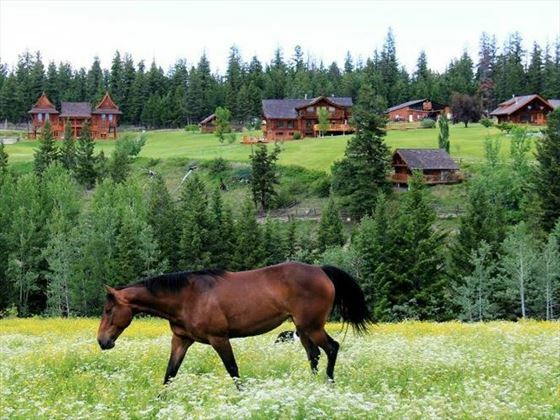 Continue between the provincial parks of Edge hills and Marble Range until you reach the beautiful Echo Valley Ranch in the Cariboo Mountains. 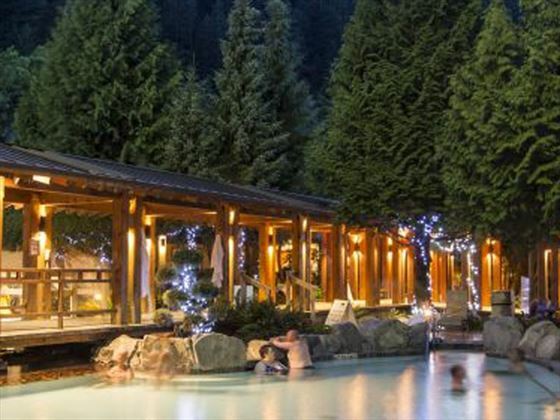 This 160 acres of this eco-friendly resort is set in the middle of four distinct geographical regions – the semi desert Fraser Canyon, boreal forests in the valley’s, treeless mountains and rolling grasslands. 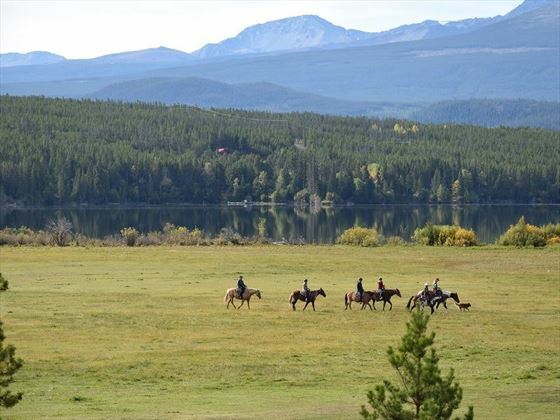 Two days to enjoy all that Echo Ranch has to offer such as horse riding, fly fishing, hiking and biking. The ranch offers all levels of horse riding from beginner to expert, and you can choose to either have lessons or a guided ride from two to six hours (extra charge). For children there are pony walks and donkey rides. You could also book a white water rafting trip or a gold panning experience – this ranch has exclusive gold panning rights on this section of the Fraser Canyon so why not follow in the footsteps of the 19 century prospectors, you might get lucky! It’s a longish drive today but you will be driving through the beautiful British Columbia wilderness, along the Chilcotin River. When you arrive at the Terra Nostra Ranch, you’ll see it’s worth the drive, sitting on beautiful Lake Clearwater with the backdrop of the Coast Mountains. We recommend taking one of the ranch canoes out onto Lake Clearwater first thing this morning whilst the waters are still. A true Canadian experience, the canoe was vital to the indigenous population and early settlers, but now is the perfect way to get back to nature. Then you might want to book a horse ride (1 to 3 hour guided trails available at extra charge) giving you the opportunity to view the local wildlife including bald eagles, moose and beavers. Or you could take one of the hiking trails to spot wildlife and immerse yourself in this pristine wilderness. Take the scenic drive past Nimpo Lake Anahim Lake and into Tweedsmuir Provincial Park. Arrive in time for lunch at the award-winning Tweedsmuir Park Lodge, located in the Great Bear Rainforest, nestled between Mount Stupendous and Mount Mellikan. 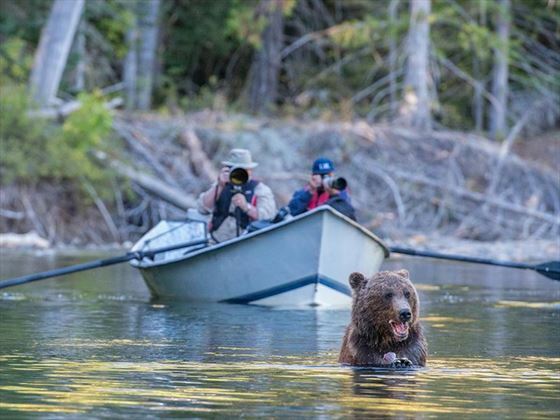 You’ll then have a an orientation, a bear presentation and a late afternoon drift in a non-motorised boat on the Atnarko River to look for grizzly bears. 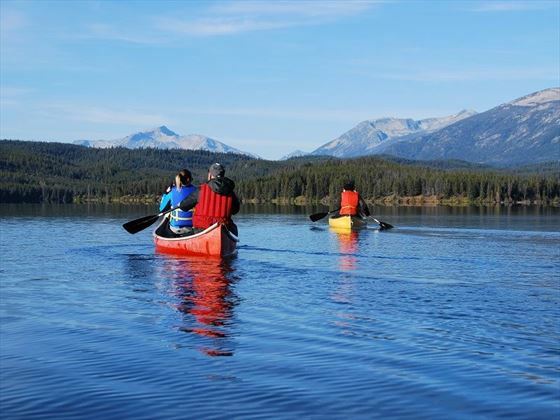 Sit back and enjoy the scenery, watching out for wildlife such as otters, bald eagles and bears. First thing in the morning is a good time to spot bears and so you’ll be up early for a walk to the wildlife viewing stations which are reserved for the exclusive use of the lodge guests. Once there you’ll be served breakfast and then head out on a guided nature walk in the old growth forests. You’ll be shown how to track bears and then have a picnic lunch. In the afternoon continue exploring Tweedsmuir Park, driving along Tote Road past old homesteads, to the end of the road where you can hike to the stunning Stillwater Lake. Early evening enjoy canapes on the sun deck of the lodge, followed by dinner. Leave the Tweedsmuir Provincial Park, heading east back to Highway 97. You’ll be staying at Williams Lake, and a lovely place to stretch your legs after your long drive is the Scout Island Nature Centre, where you can have a stroll and enjoy bird spotting. This morning head south on Highway 97 then meander west on Highway 99 to the Fraser River and into the mountains. A good place to break up the journey after a couple of hours driving is Marble Canyon Provincial Park. Then you’ll drive through Duffey Lake Provincial Park, past Lillooet Lake. Just before you arrive in Whistler, you might want to pause at the beautiful Nairn Falls to admire the view. You’ll arrive in Whistler in time for a lovely stroll into the pedestrianised village centre, to browse the shops, relax over a drink and enjoy a lovely dinner in one of the many restaurants. 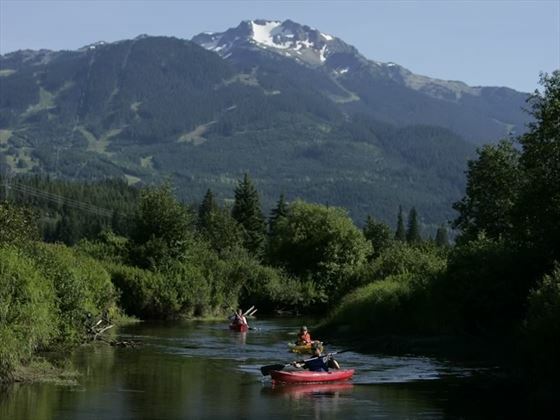 You have a day in Whistler, so you may want to pre-book an excursion with us to make sure you use your time well in this fun destination. 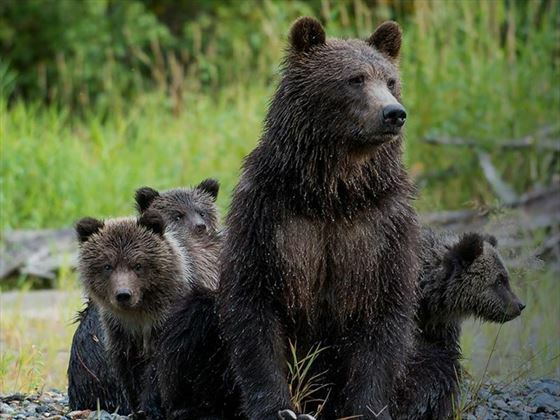 There’s lots of activities to choose from such as kayaking and biking or ascending in the spectacular Peak to Peak Gondola, but if it’s wildlife that you’re interested in then perhaps book the Whistler Bear Viewing tour. 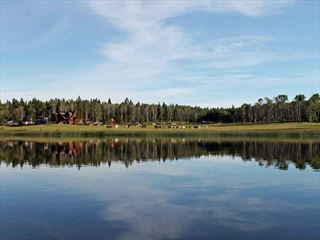 The Tweedsmuir Park Lodge is nestled between the staggering slopes of Mount Stupendous and Mount Mellikan. 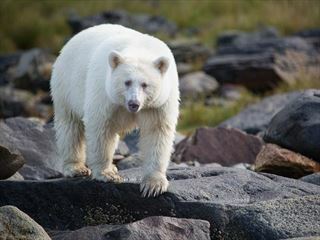 You’ll encounter and explore an abundance of breath-taking scenery and unique wildlife including bears, moose, deer, eagles and seals. There is a total of 9 exclusive private guest chalets tucked into the luscious forest, all appointed with luxurious, cosy furnishings and amenities. 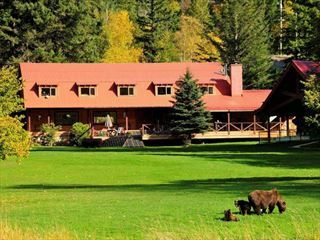 Open from June to September, this charming resort offers an authentic insight into ranching, and living out in the Cariboo wilderness. With three rustic log-built suites, amazing horse riding opportunities and sensational homegrown cuisine, this is your chance to become at one with nature.